First, in the 3D View, open the Materials menu and enable Tessellation. Then open the Edit menu for the materials and turn up the “Tessellation Factor” and the “Scale”. Here’s the node graph I used for this. 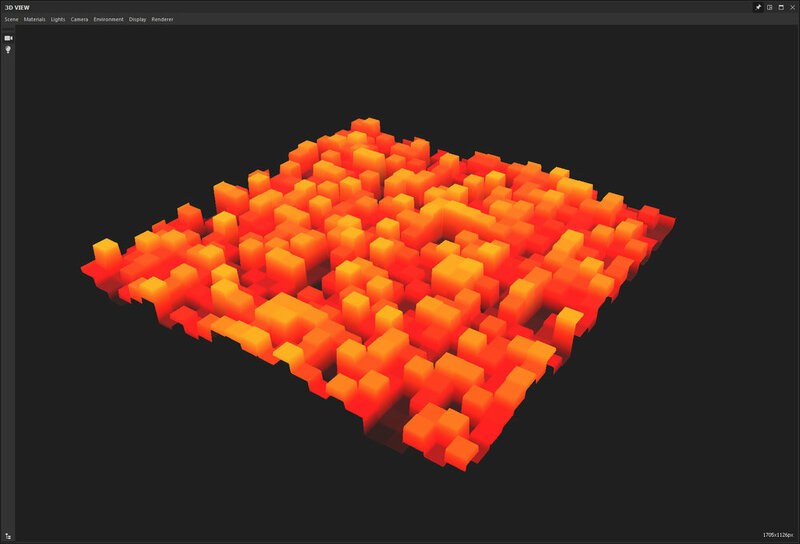 It’s a simple tile generator using the “Square” Pattern and has a gradient map to add some color. Note that Tessellation won’t look good on a low poly model because it doesn’t have enough vertices to move. For a visualization, look at the difference between “Plane” and “Plane (hi-res)”.